Most of the newspapers carry front-page pictures of Paris's Notre Dame cathedral on fire. Times of Malta reports on an Infrastructure Malta presentation where experts said better roads will mean more leisure time for drivers. The Malta Independent quotes the Mater Deo Hospital CEO saying 76 medical professionals were called in to assist after Sunday's major traffic accident. l-orizzont also gives prominence to the story about improvements to the roads network. It also reports that 50 drug addicts have been given a second chance to reform. 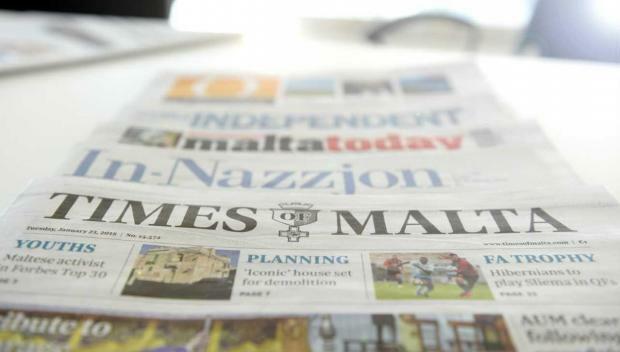 In-Nazzjon's main story is about the debate in parliament on Monday on the Greco report on the rule of law in Malta, saying the government is not interested in fighting corruption.